All summer I have been trying to reverse the weight gain from my winter fun of unlimited chocolate, soda and chip snacking. Even drinking diet Pepsi added weight, so I decided why drink diet if I'm still going to gain weight? So back to my regular Pepsi I went. Now toward the end of the summer, I have found an answer or should I say changes I am happy to make in the name of health and weight loss. Would you believe it is in the water? The thought of adding cucumber to my water was appalling. I must admit after trying it, I found it tasty and I was hooked. So now at the gym or on my long walk or run, I have a bottle of my homemade water with me. The hardest thing to do was to give up my Pepsi, but I have found that I don't miss the soda or the junk food since I have started drinking my new found water. All you need is fruit, water and the knowledge of which fruit is best for your ultimate goal. I do acknowledge the cucumber is a veggie and not a fruit. Let the mixture sit overnight in the fridge. Spend your day enjoying this flavored water. Water- Water is synonymous with life. It keeps the body hydrated. Hydration is important because dehydration can slow down the fat burning process. It lubricates joints and muscles during exercise and helps to innervate the blood supply and oxygen to muscles. Water also helps to give a feeling of fullness during meals so we don’t overeat. Cucumbers- Helps with hydrating your body. Proper hydration gives you the added benefit of having more energy and helping your body's organs to perform their jobs better. Cucumbers also provide you with vitamins and minerals as well as bringing down your blood pressure. They also serve to curb your appetite. So drinking a cup of cucumber water when you're hungry can help you hold off until your next meal. So when you feel hungry and it's not quite mealtime, you may just be thirsty. Staying hydrated will also keep your skin supple and smooth as well as calming irritated skin such as acne and blemishes. I love cucumber water. It's tasty and satisfying. I actually added cucumber slices to my bottled water but, my daughter also found the water tasty, so I started using the water pitcher. The colder it is the better. 20 minutes in the freezer is awesome. Lemons- They are high in pectin fiber which helps to suppress food cravings. They also help the body to eliminate waste products by cleansing and detoxifying it. Lemons are alkaline forming and will aid with weight loss. Mint Leaves- It's a well know fact that mint helps to freshen the breath. Mint also aids in digestion and cleanses the palate. There is also the flavor and aroma mint emits. Ginger- Tends to give you a feeling of fullness preventing overeating. A not guilty verdict. A kidnapping. A midnight trial. Six sitting in judgment and one empty chair. Revenge- is it sweet or just a bitter seed? Coach Terrence Jackson is the man who has divided the town of Marston. There are those who believe in the coach and his innocence and then there are the victims who despise him, his smile and his crime. 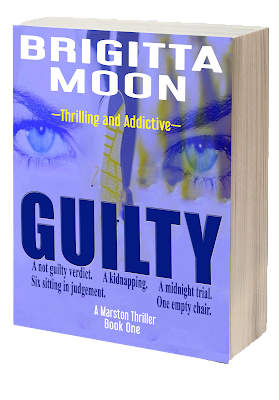 He has a dark past- a previous life no one knew about until the not guilty verdict. Marry For Love? Marry For Money?